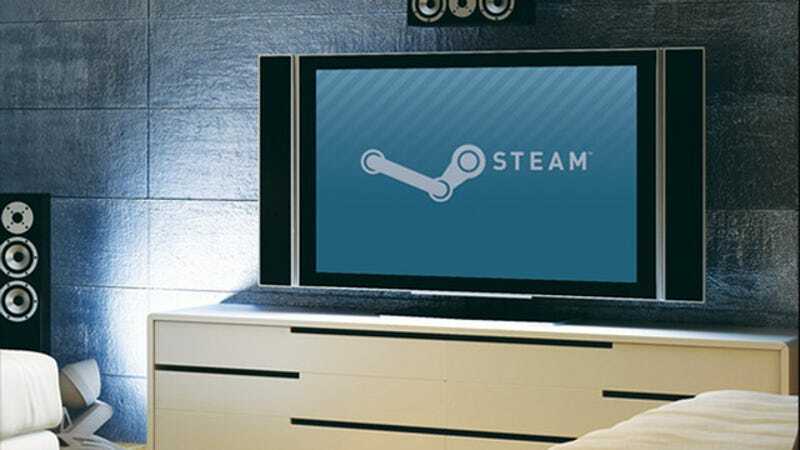 Steam's Big Picture mode was just the first step: according to Valve boss Gabe Newell, you'll be able to buy a living-room-friendly PC package next year. Speaking to me during a brief interview on the red carpet at the VGAs last night, Newell said Valve's current goal was to figure out how to make PCs work better in the living room. He said the reaction to Steam's TV-friendly Big Picture interface has been "stronger than expected," and that their next step is to get Steam Linux out of beta and to get Big Picture on that operating system, which would give Valve more flexibility when developing their own hardware. He also expects companies to start selling PC packages for living rooms next year—setups that could consist of computers designed to be hooked up to your TV and run Steam right out of the gate. And yes, Newell said, they'd compete with next-gen consoles from companies like Microsoft and Sony. "I think in general that most customers and most developers are gonna find that [the PC is] a better environment for them," Newell told me. "Cause they won't have to split the world into thinking about 'why are my friends in the living room, why are my video sources in the living room different from everyone else?' So in a sense we hopefully are gonna unify those environments." Newell said he's expecting a lot of different companies to release these types of packages—"We'll do it but we also think other people will as well," he told me—and that Valve's hardware might not be as open-source or as malleable as your average computer. "The nice thing about a PC is a lot of different people can try out different solutions, and customers can find the ones that work best for them." I also asked Newell what sort of software they're working on these days. He wouldn't give specifics, but he did reiterate that they're working on their next-generation engine—which he said will work with next-generation consoles as well. "Hopefully that's gonna give us some interesting opportunities on the game side," he said.